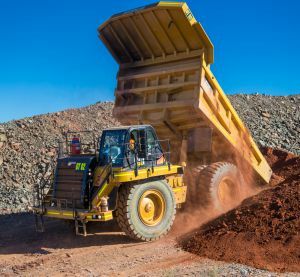 Based in the well-established gold mining district of Coolgardie in Western Australia, Bullabulling is conveniently close to established power, water and road infrastructure. The Bulllabulling Tenure straddles the Perth – Kalgoorlie highway, and is situated around 70km south west of Kalgoorlie. Bullabulling owns a sizeable project area – 203km² – which is held in a series of granted mining leases, prospecting licences and exploration licences. The Definitive Feasibility Study, which is scheduled for completion in early 2015, is expected to reveal further improvement in the Bullabulling Gold Project’s development plan and economics. Historically Bullabulling was a near-surface open pit gold mining producer in the 1990’s. Production ceased in 1998 with ownership of major plant and equipment transferred to Resolute Mining, a previous owner. While the large scale mining equipment was removed, Bullabulling maintained its Mining Lease status under its new owner, junior mining company Jervois, who ran small scale production based on previously mined ore. A continuous mining licence provides an opportunity to fast-track the mine back into production. Additionally, there are no native title issues on the main areas due to the maintained production history. Previous drill data suggested that Bullabulling had the potential to produce on a far larger scale than under its previous owners, given a higher gold price. Following the takeover by Norton Gold Fields, work has progressed with the Feasibility Study, specifically focused on hydrogeology, open pit geotechnical and metallurgical test work studies. At 30 November 2017, the Company reported a Mineral Resource estimate of 95.4 Mt at 1.05g/t Au (3,210,000oz). Of this estimate, 2.19 million ounces are in the Indicated resource category at a grade of 0.99 g/t Au. Two large mineralised trends of primary orogenic gold mineralisation have been identified : the north-south striking Bullabulling Trend and the east-west to northwest-southeast striking Gibraltar Trend. The Bullabulling Trend contains the most laterally consistent gold mineralisation and can be traced for over 6 kilometres of strike. From north to south, it covers the following deposits and prospects – Bonecrusher, Dickson, Hobbit, Phoenix-Bourke-Wills, Bacchus, Edward and Griffin. Exploration drilling has been undertaken primarily around the Phoenix and Bacchus pit areas, both of which are within a concentrated 2.2 kilometre stretch of the Bullabulling Trend. The geology suggests that there is potentially more gold to be discovered along the whole Bullabulling Trend and the separate Gibraltar Trend that appear to host similar commercial concentrations.